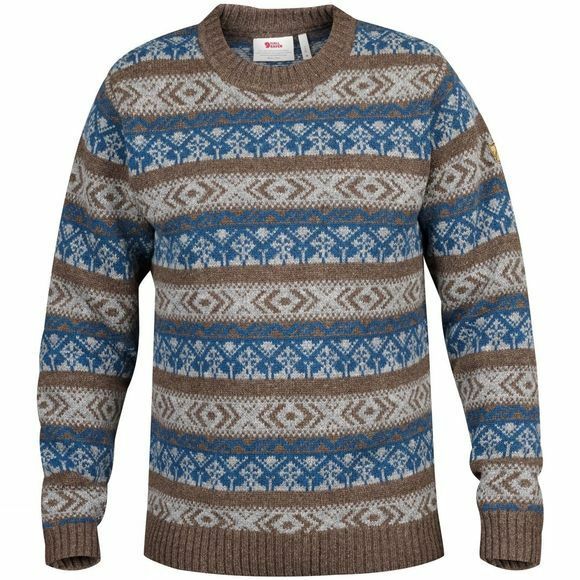 The Fjällräven Men's Övik Folk Knit Sweater is a soft, comfortable knitted woollen sweater with a pattern inspired by Nordic folklore. A beautiful garment that also has excellent functionality in outdoor life; wool wicks away body moisture from base layers and is one of the few fibres that warms when damp. This makes the sweater perfect as a warming mid layer under a shell jacket, or together with a down vest, for example, on warmer days.